Researchers from EPFL's Laboratory of Nanoscale Electronics and Structures (LANES) developed a new way to control the valley properties of excitons and change the polarization of the light they generate. Excitons, or electron and electron hole pairs, are created when an electron absorbs light and moves into a higher energy band. To research the excitons, the researchers used a material made from tungsten diselenide (WSe2) and molybdenum diselenide (MoSe2), and a circular polarized laser that was focused on the film. Researchers from Princeton University observed that electrons in bismuth prefer to crowd into one valley rather than distributing equally into the six available valleys. This behavior creates a type of electricity called ferroelectricity, which involves the separation of positive and negative charges onto opposite sides of a material. The finding confirms that ferroelectricity arises naturally on the surface of bismuth when electrons collect in a single valley. This behavior could be exploited in future Valleytronics devices. The existence of six valleys in bismuth raises the possibility of distributing information in six different states. Researchers from Berkeley Lab discovered that Tin(II)-Sulfide (SnS) is a promising valleytronics material as its valleys have different shapes and responses to different polarizations of light. This property means that in SnS it is easy to read valleytronics data bits. The researchers have shown that SnS is able to absorb different polarizations of light and then selectively re-emit light of different colors at different polarizations. In such a material, it is possible to concurrently access both the usual electronic and valleytronic degrees of freedom. Researchers from the DoE Lawrence Berkeley National Laboratory have proved the existence of chirac phonons - a shaking motion in the structure of 2D material that possesses a naturally occurring circular rotation. 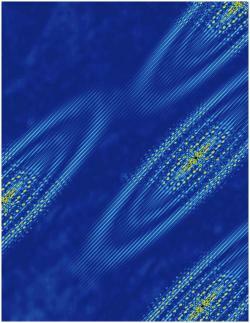 This rotation may mean that the material is promising for data-storage based on valleytronics. 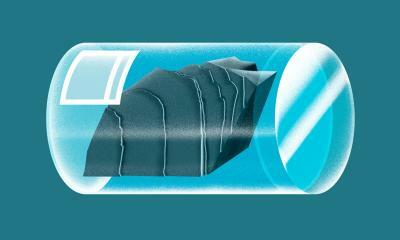 The researchers used tungsten diselenide (WSe2), a material that has an unusual ability to sustain special electronic properties that are far more fleeting in other materials. 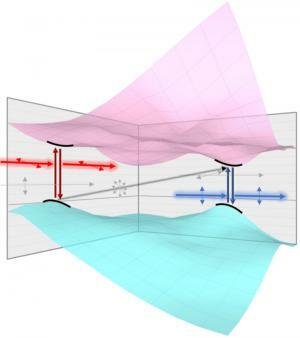 With this new discovery of the chirac phonons, the researchers believe that controlling the rotation direction could prove to be a stable mechanism to carry and store information. Researchers from the SUTD-MIT International Design Center at Singapore University of Technology and Design have demonstrated a concrete working design of valleytronic-based logic gate capable of performing all 16 types of boolean logic operators. This logic gate can also perform logically-reversible computing - useful in many applications ranging from cryptography to signal processing and quantum computing. To achieve this logic gate, the researchers used a 2D-material (Phosphorene) in combination with a topological Weyl/Dirac semi-metal thin films. The valleytronics gate encodes extra bits of information in the valley polarization of the computational output to preserve logical-reversibility. 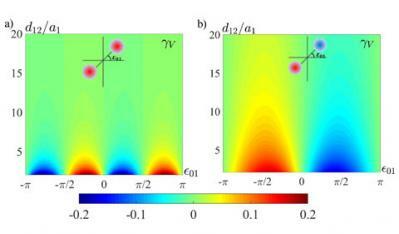 Researchers from the US NRL laboratory have experimentally shown why different TMDs feature different degree of valley polarization. 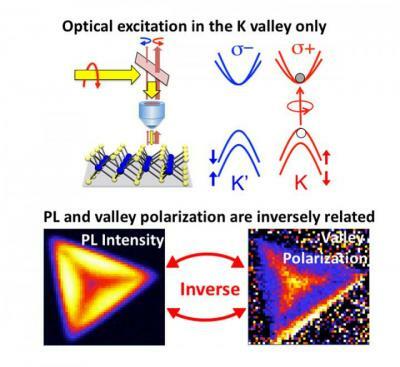 Specifically the researchers uncovered the connection between photoluminescence (PL) intensity and the degree of valley polarization. The researchers used monolayer TMDs (transition metal dichalcogenides), mainly WS2 and WSe2. Samples that exhibited low PL intensity exhibited a higher degree of valley polarization. This means that if one controls the defects and nonradiative recombination sites in a monolayer TMD than once could create a material with a high or low degree of valley polarization.